Growers have long been looking for the perfect strain, one that could be grown successfully in a variety of different environmental conditions and levels of growing skill. The critical strain is a hybrid of the Indica and Sativa varieties that, as of now, is one of the closest things to a perfect strain we have. Growing your own marijuana is a great hobby and can also be a wonderful business venture, making one's smoking habit more economical and enjoyable, or producing a means of extra income. However, a proper growing operation takes a bit of time and foresight if one wishes to get the most out of the plants they grow. One of the hardest parts of getting one's personal garden off the ground is choosing the best strain to grow. This decision will be dependent on personal smoking preference, as well as the environment/space one has to dedicate to the growing operation. For the indoor or small-scale gardener, the critical strain is a great choice. Whether one is an expert grower or just starting out, the critical strain is a great choice and is suitable for growing both indoors and out, in a variety of different climates. A robust strain, critical produces a high yield, even in small spaces and the bud is potent and reliable. Smokers around the world love the mellow, yet strong and lasting, buzz produced by smoking critical bud. Growers have long been looking for the perfect strain, one that could be grown successfully in a variety of different environmental conditions and levels of growing skill. The critical strain is a hybrid of the Indica and Sativa varieties that, as of now, is one of the closest things to a perfect strain we have. It has a short growing cycle, roughly eight weeks, which makes it suitable for growing in both warm and more northern, cooler climates. The strain was introduced to allow for both indoor and outdoor growing, even in cooler, northern areas where the growing season is much shorter. First time growers and expert growers alike extol on the ease with which critical grows in a variety of different environments, as well as the robust harvests they produce. The hybrid strain is a feminized plant that takes about 49 days to flower. 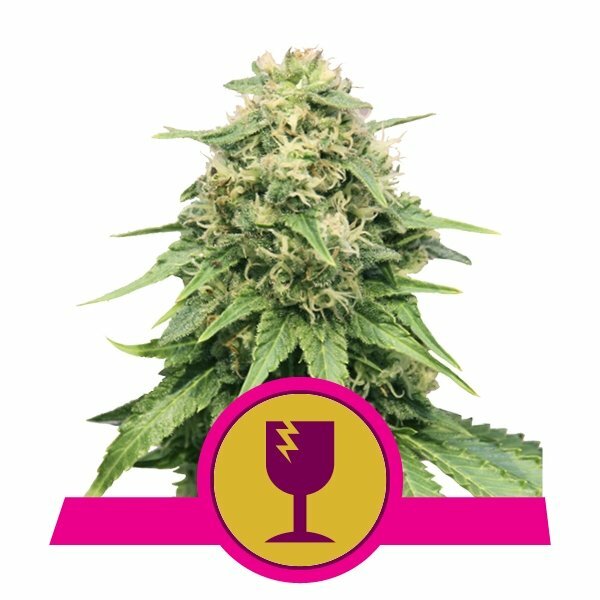 It boasts about a 16% THC content and has a genetic background of Skunk and Afghani varieties, responsible for the lovely aroma and flavor, as well as potent effects of the bud. Growers the world over have boasted the quality of the bud and the ease with which it can be grown, making critical a great strain for both personal and professional growth operations. 70% Indica and 30% Sativa, this hybrid takes the best qualities and characteristics of each type of smoke for a perfect blend of quality and quantity in the end product. One of the biggest benefits of the critical strain is the ease with which it can be grown. Critical is an incredibly economical strain, producing a decent-sized crop per properly grown plant. Perfect for growing indoors, this strain of plant does not generally reach over one meter tall and is a bush variety, meaning it grows more bush-like, lush and dense, as opposed to tall and leggy. Grown indoors with proper lighting, feeding and watering schedules, one critical plant can produce as much as 70 grams of bud. The same plant grown outdoors will produce about 100 grams per plant. The disparity in harvest is often due to more optimum growing conditions in these outdoor operations. Eight weeks after germination is when most growers see their first harvest and can take regular clippings after the first large harvest. This is an economical, short-season plant, making it perfect for growers with time constraints or those who wish to grow, but do not live in the most suitable growing environments. A hybrid of both Indica and Sativa, this strain provides the best of both worlds in terms of quality of buzz. Critical is a potent strain, providing a mellow, long-lasting buzz when smoked. Sweet with much-desired “minty” flavor, critical is a popular strain amongst all types of smokers, from weekend blazers to everyday tokers. Whether smoked in a traditional manner or used in vaporizers, which are growing in popularity, this is the perfect all purpose bud. Producing a rich, flavorful smoke, critical provides that quintessential relaxed feeling smokers are looking for. Economical, potent and easy to grow, the critical strain is the perfect choice for the indoor or small-scale grower. With a great aroma and flavor, as well as packing a powerful punch, critical is a great strain for the everyday smoker. This space-saving, bush-like plant produces a great crop for its small size and is perfect for the beginning and expert grower alike. Producing a large crop for the space required, many growers the world over have come to rely on the critical strain for their operations. The ease with which the strain is grown and the healthy harvest of high quality bud make this one of the more popular strains grown and for good reason too. Adaptable to a variety of climates and perfect for growing operations large and small, critical is a great choice of growers of all different backgrounds and levels of experience. What’s The Difference Between Hemp Seed Oil And CBD Oil?